This is the Forester brand chainsaw helmet system. 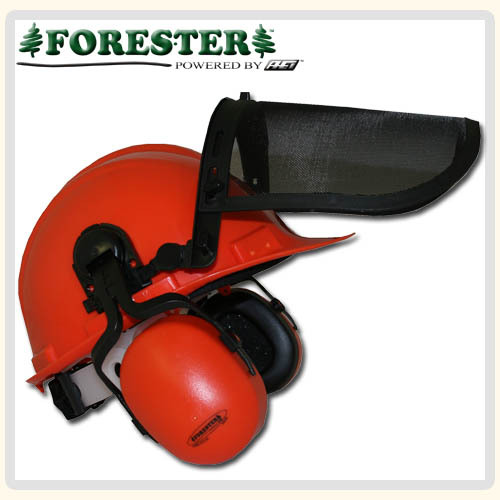 The system comes complete with wire mesh face shield, ANSI/CE Certified Helmet, Forester NRR21db Muffs, and 6 point ratchet suspension. We are proud of this product as it is a great deal for the price.